Featured in Porter Airline magazine and the Edible Feast foodie blog, the award winning Claddagh Inn located in St. Mary’s on the South Avalon Peninsula. 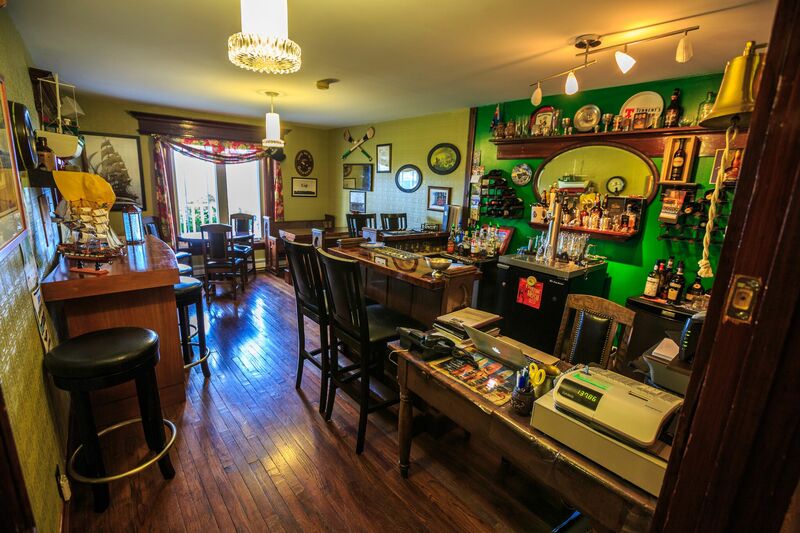 The Claddagh Inn is a Trip Advisor favourite that combines modern amenities with old-world charm featuring a dining room with amazing woodwork and rich tones, and an inviting sitting room with library and games. Rated 4.5 stars by Canada Select, the Claddagh Inn offers fine-dining by reservation this converted convent provides guests with a peaceful charming environment perfect for a Newfoundland get-away. It’s centrally located on the Irish Loop and provides guests with access to all of the amenities of the region. Ideally situated for multi-day stays or overnight excursions, The Claddagh Inn provides a home-base from which guests can access the newest World Hertiage site, Mistaken Point; The Colony of Avalon; The Salmonier Nature Park; Cape St. Mary’s Bird Sanctuary; and the magic of St. Vincent’s beach where sightseers can welcome the great whales every summer as they glide past the beach in search of capelin or flap their flukes at the diving gannets! Come see where the “Father Duffy Riot” took place, have a great “craft” meal, enjoy a pint of Yellowbelly Beer in Padraig’s Folly The Smallest Irish pub in Canada, and then let the distant foghorn guide you into sleep! To book your staycation this summer visit the Claddagh Inn's website at http://thecladdaghinn.ca/.